This generation of kids are lazy, apathetic, and the only thing they care about are their smartphones — it’s exactly what many people today think about the Millennial generation. But on March 14th, students across the nation proved they too want to be involved in the country’s political discussion. In a stunning display of solidarity, students in all fifty states at over 3,000 schools walked out of class and stayed silent for 17 minutes in protest of gun violence at school and in remembrance of the students killed in Parkland, Florida. Young people are historically a very overlooked and disparaged group of people in the country, but today all eyes an ears are on them. 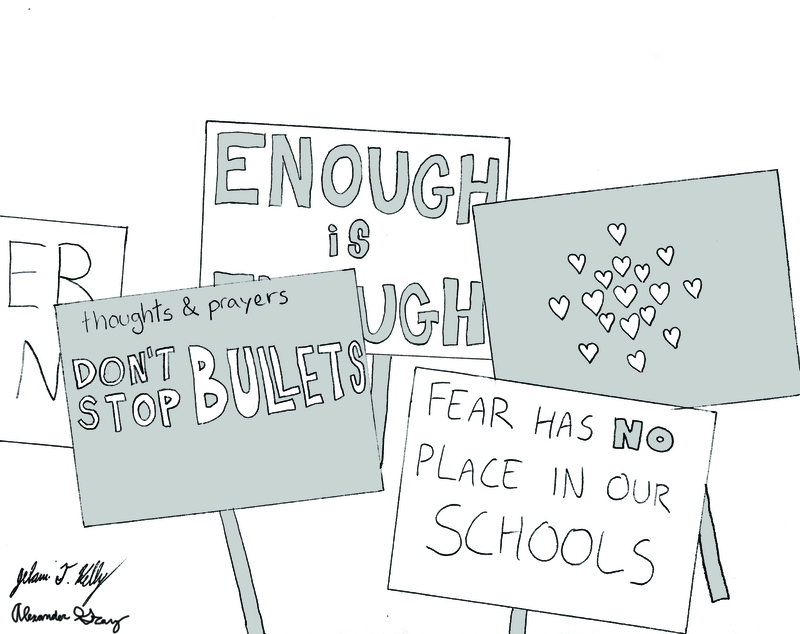 In a time where mass shootings are quickly forgotten and little is changed, these students have kept the Parkland shooting on the front pages of newspapers more than a month after it happened. Despite their age and standing in society, it’s easy to see how they’ve gotten national attention on their efforts. Unlike many other issues facing young people today, gun violence in schools is one that affects every single student in the U.S. There’s not a single student out there that doesn’t think school shootings are a problem, and it’s easy to rally behind preventing them. With such a unifying issue at hand, many young students are empowered for the first time in their lives. These suggestions are a gross misunderstanding of the purpose of the protests and reveal how out of touch some school administrators are. While the fact that protests are supposed to cause disruption is another discussion entirely, the only disruption these students are causing is to their own education. The frequent victims of gun violence have a right to stand up and demand something be done about it. Students are not out and getting violent, destroying property, or even being overly loud in most places; walking out of the one place adults require and expect them to be all at once speaks louder than any other action could. To the young students across the nation: The era of children being seen but not heard is long over. Don’t let anyone stop you from voicing your opinion or tell you you’re too young to do so. The same people who have called you lazy and apathetic all your life will now tell you that you have no place in politics. You have a long march ahead of you but don’t let that discourage you — prove that you are to be taken seriously on the political stage and work to achieve the change you want. Whether you agree with their end-goals and demands or not, a politically active younger generation is a good thing. We at The Triangle commend the actions of these students and their perseverance in making their voices heard even in the face of adversity.